OPEN ENROLLMENT - Now Accepting Applications. 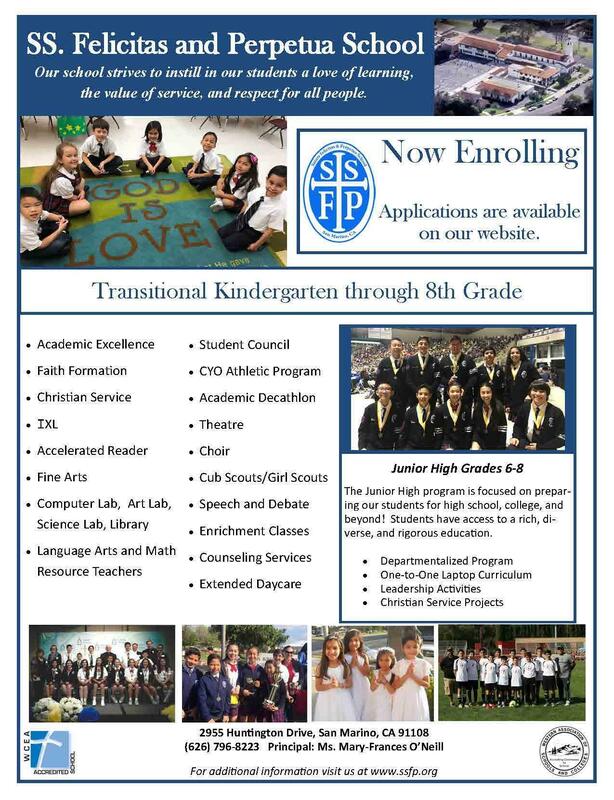 For more information or for a tour, please call our Principal, Ms. Mary-Frances O'Neill at 626-796-8223. Come visit Saints Felicitas and Perpetua School and see how our littlest of learners are growing in faith, academics, and service. Early childhood is a special chapter in a child’s developmental journey. 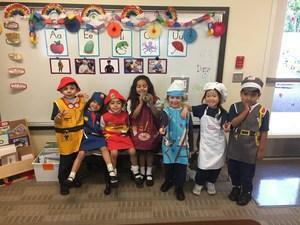 Children need experiences that will prepare them both socially and academically for success in elementary school. 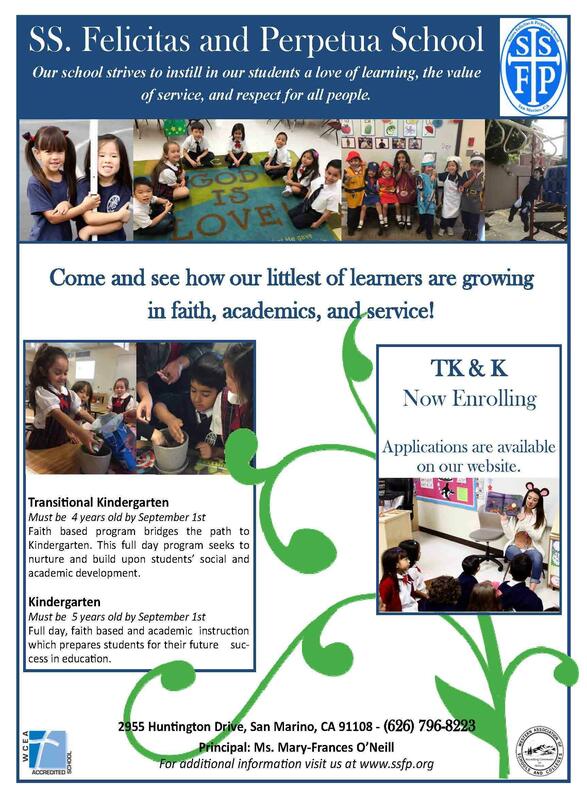 Our Transitional Kindergarten (TK) emphasizes both socioemotional development and provides a bridge between preschool and kindergarten.